With the 2002/03 Home kit remaining the same design as the previous season - with the new Telewest logo being the only change - United released a new green Away kit along with the black Centenary Collection shirt. 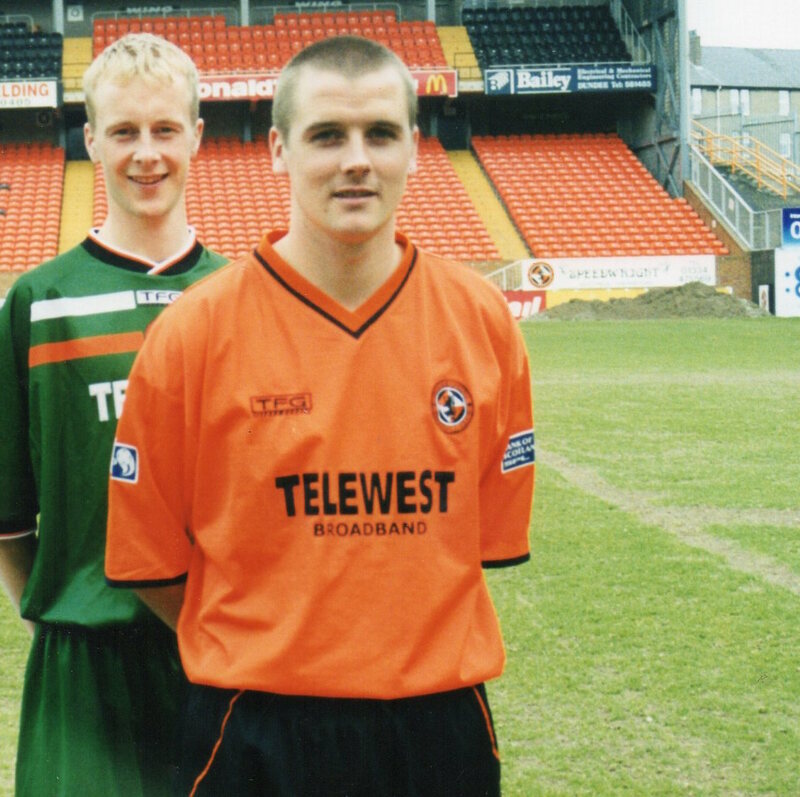 The second green Away kit in recent years, incidentally both made by TFG Sports, had one tangerine strip and one white strip running across the chest, with the Club badge and manufacturers logo in the centre. 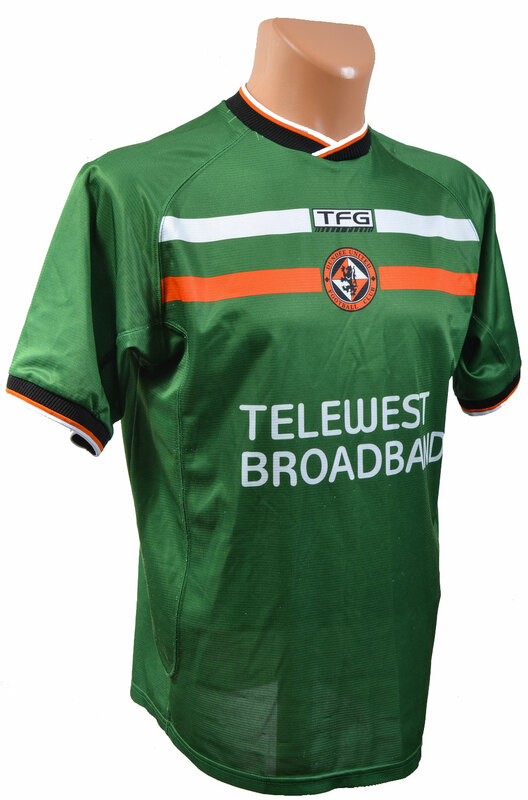 In their seventh year as shirt sponsors, Telewest re-branded their logo with the words "Telewest" and "Broadband" now the same size, in a white font that matched the other two kits that season, however this time it was printed into the fabric of the shirt. The round overlapping collar had a white and tangerine trim, as did the elasticated cuffs. The green shorts also had the tangerine and white trim, just above the hem of the legs. With the top and shorts being the same colour, accompanied with white socks, the kit was described as "kind of Chelsea in style" by the commercial team during its launch. The green Away kit made its debut in the first SPL match of the season, in a 0-0 draw with newly promoted Partick Thistle at Firhill. Only used for the one season, its last appearance was also at Firhill, where United won 1-0 with a Jim Paterson goal towards the end of Ian McCall's first season in charge, as United made sure they finished above bottom placed Motherwell.